Owners are getting $100 million in property tax breaks while violating the law requiring them to officially register, and city and state officials are unable to explain why. In late August, Gov. Andrew Cuomo and other top New York officials announced an unusual crackdown on landlords. Nearly 200 building owners were collecting big tax breaks under a program to spur housing, officials said, but hadn’t registered their apartments for rent stabilization as the law requires. Tens of thousands of New Yorkers are moving into newer rent-stabilized apartments. Many are paying ‘preferential’ rents that tenant advocates say invite abuse by landlords. Read the F.A.Q. Have a question about your NYC rent? Do you think it’s too high? Is it legal? It might not be. Send us a question using #NYCRentChat. Our reporters will answer your questions live on Twitter, Tuesday, November 10, at 1 p.m.
“We will not tolerate landlords who break the law and deny their tenants rent-regulated leases, plain and simple,” Cuomo said in a statement at the time. With Attorney General Eric Schneiderman, the governor announced a new enforcement effort to clean up such abuses. But an investigation by ProPublica found that in reality, state and New York City officials have tolerated the problem for years — and ignored pleas to investigate. Nor is it limited to the building owners Cuomo and Schneiderman found — landlords have failed to register thousands of buildings for rent regulation, casting doubt on the legality of leases for about 50,000 apartments across the city. That is the finding of an extensive analysis of government data covering nearly 15,000 rental buildings receiving the tax subsidies as of 2013. About 40 percent — or 5,500 buildings — weren’t listed as rent- stabilized, yet records show the owners are receiving more than $100 million in property tax reductions. Stephen Werner, an analyst at the city’s Housing Preservation and Development Department (HPD), has been complaining to higher-ups about the missing registrations for decades. Werner said he first told his bosses 20 years ago they were “perpetrating a fraud” by counting too many apartments as rent-stabilized in the triennial surveys prepared for the City Council and the public. Briefed on ProPublica’s analysis, Jumaane Williams, a city council member from Brooklyn who chairs the council’s housing and buildings committee, called for a “severe and swift response” to ensure that tenants are getting the rent protections they deserve. ProPublica reported yesterday on a related abuse, where landlords do register for rent stabilization then collect bigger rent increases than allowed by the city’s Rent Guidelines Board. They do so in part by exploiting confusion about “preferential” rents and whether newer buildings are rent-stabilized. Landlords who register properly for rent stabilization must do so annually with the state. Lists of buildings that have done so are published by the Rent Guidelines Board. To determine if a tax-advantaged building was registered, ProPublica cross-checked that data against a listing of properties receiving the tax breaks, known as 421-a and J51, published by the city’s Department of Finance. Exactly what’s happening to tenants in the buildings is unclear. In some cases, tenants did have rent-stabilized leases because landlords skipped a year but had registered in others. In other cases, buildings had multiple addresses but registered only one. Others had opened only recently. Despite that, three tenants reached by ProPublica said they had not been given rent-stabilized leases. “I knew that rent stabilization was something that existed, and I looked out for it and it definitely wasn’t present,” said Mark Ellison, a Crown Heights resident who lives in one unregistered building. In 2013, Ellison said, his landlord proposed raising the rent $800 a month, or 40 percent. The landlord backed down when Ellison said it was unacceptable. The implications go beyond rent. Tenants can only properly claim legal rights provided under a rent-stabilized lease — such as eviction protection and the right to timely repairs — if they are not in the dark about their building’s status and if the state has a record of it. City officials acknowledged there is a problem with registrations but were unable to explain how such a large number of landlords could be out of compliance. They did not respond to a detailed accounting of ProPublica’s findings and methods or questions about why Werner’s complaints hadn’t been addressed. Type in your address to see if your building’s owner is receiving a property tax break that entitles you to a rent-stabilized lease. A spokesperson for Mayor Bill de Blasio’s administration said in emails that officials “became cognizant” of the problem after de Blasio took office last year and “took action promptly to address it.” The matter is now the subject of a “multi-stage, multi-agency” enforcement effort, the spokesperson said. “While we cannot disclose details on an ongoing investigation, we will not stop until every property is brought into compliance,” the de Blasio spokesperson said. Announcing their August crackdown, Cuomo and Schneiderman said building owners who don’t register as rent-stabilized face serious legal consequences, including loss of their tax breaks, a rent freeze and paying triple the amount of overcharges any tenant might have received. Instead of taking those steps, they sent owners of the 194 unregistered buildings a “one-time” opportunity to comply and informed tenants that they should expect their landlords to get into compliance sometime soon. In the past three years, only two landlords have lost their tax breaks for not following the rent-stabilization rules, city officials have said. The two tax-incentive programs at issue together provide almost $1.4 billion in property tax savings to New York City real estate owners, with most of the money flowing to multifamily apartment buildings. Landlords who receive the 421-a and J51 tax benefits are supposed to submit all the units in their properties to rent stabilization for the duration of their tax breaks, which can span up to 34 years and significantly lower property tax burdens, in some instances by more than 90 percent. The rent stabilization requirements are intended to help preserve affordability in places like Manhattan’s Stuyvesant Town and Peter Cooper Village, which receive a J51 tax break that subjects all of their 11,000 units to rent stabilization. 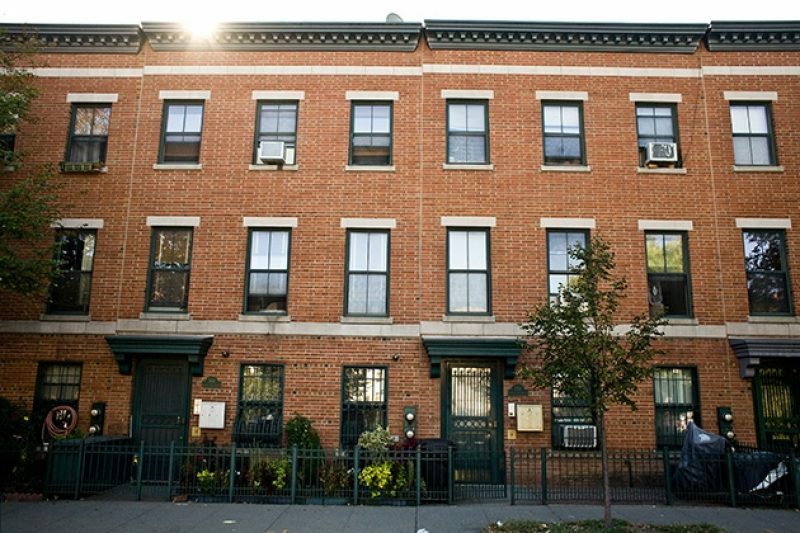 A 2009 court decision involving Stuyvesant Town confirmed that, as long as such tax breaks are in place, landlords must provide tenants with rent-stabilized leases. To make sure they are doing so, the state requires landlords to register their rent-stabilized apartments annually and report each unit’s rent. Tenant advocates say registration also creates an important protection for tenants, who are entitled to the rent history and can use it to prove overcharges. “It’s incredibly important for tenants to be able to know that they’re rent-stabilized and also have the legal record of what the rent increases are,” said Katie Goldstein, executive director of Tenants & Neighbors, a statewide tenants’ rights group. Landlords who didn’t register used to be ineligible for rent increases. But that changed in 1993, when the New York Legislature eliminated penalties for failing to register. “If they don’t do it, there are no repercussions,” Goldstein said. Most of the buildings identified by ProPublica were repeat offenders: About 80 percent that didn’t register units in 2013 also didn’t do so from 2009 to 2012. Some appear to have never registered, according to searches against the state’s master directory of rent-stabilized buildings. The noncompliant properties were mostly smaller buildings receiving 421-a benefits, including many three-family homes and four-to–10 unit apartment complexes. Among the five boroughs, Brooklyn and Queens had largest numbers of unregistered buildings. In some corners of city government, the gap in registrations has been an open secret. Werner, the housing department analyst, first took notice in 1995. Werner, 69 and still working at HPD, helps put together the city’s triennial housing survey. He collects data from the state showing all the apartments that have been registered for rent stabilization. The number never exceeded 800,000, he said, while the housing surveys routinely reported a higher number, now more than 1 million. “The numbers never matched,” Werner said. He estimated the total shortage — beyond just properties receiving the tax breaks — at 200,000 apartments. Werner said he raised the issue repeatedly with his superiors, but nothing was ever done about it besides occasional meetings and memos that went nowhere. In 2006, he emailed state regulators to inquire about the tax breaks, but no one there answered him, either. The city denied ProPublica’s public records request for emails and memos about the registration gap. Earlier this year, Werner took things into his own hands. Using publicly available data, he spent nights and weekends creating his own website where tenants can type in their address and see their building’s registration status and tax breaks. Then, out of frustration, he contacted ProPublica. A reporter accompanied Werner one day in September, when he traipsed through a Brooklyn neighborhood stuffing mailboxes in unregistered buildings with fliers that said they were entitled to rent-stabilized leases. Last month, Werner met with City Council Member Ben Kallos to discuss enforcement and administration of the law, which is shared by HPD, the city’s Department of Finance and the state Division of Housing and Community Renewal (DHCR). A reporter also attended. “We have a bureaucratic quagmire between DHCR, HPD and DOF and we as a city and a state must get to the bottom of it,” Kallos said at the meeting. He called Werner “a hero” for raising the issue. Now, regulators are playing catch-up, distributing fliers of their own. “YOU ARE ENTITLED TO A RENT-STABILIZED APARTMENT” reads a notice recently distributed to tenants in the 194 buildings targeted by Cuomo and Schneiderman’s enforcement action in August. Authorities did not identify the owners in August, but ProPublica found one of the buildings in its data. 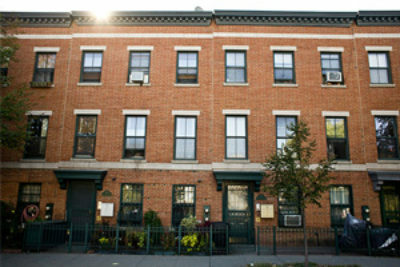 The seven-story, 18-unit complex was built in 2009 at 572 Fifth Ave. in Brooklyn, city records show. “I had no idea we were supposed to be in a rent-stabilized building,” said Sarah Temech, a mother of two who has been a tenant with her husband, Peter Grossman, for four years. Among the many rights afforded to rent-stabilized tenants is protection against arbitrary eviction. Temech and Grossman found out how important it could be on their honeymoon in August 2013. Before leaving, they slipped the rent check under the building management’s door and sent a text saying it was there. But a few days later, Grossman was checking his email on his birthday. “Amongst all the happy birthday texts,” he recalled, was an email from his landlord informing him eviction proceedings had begun because he’d failed to pay his $3,675 rent. Grossman responded that he’d left the check with management, and by the time the couple returned, it had been cashed. “But sure enough, there’s an eviction notice on our door,” he said. In an email, the building’s owner, property investor Abe Mendel said: “We NEVER tried to evict any tenant [in] the situation you outline.” Mendel did not answer questions about whether he provided rent-stabilized leases to his tenants. ProPublica also reviewed the lease for another tenant in Mendel’s building; it was not rent-stabilized. Grossman and his wife were able to straighten out their issues, but the episode unsettled them. Like this story? Read more of Cezary Podkul’s reporting on business and politics here.